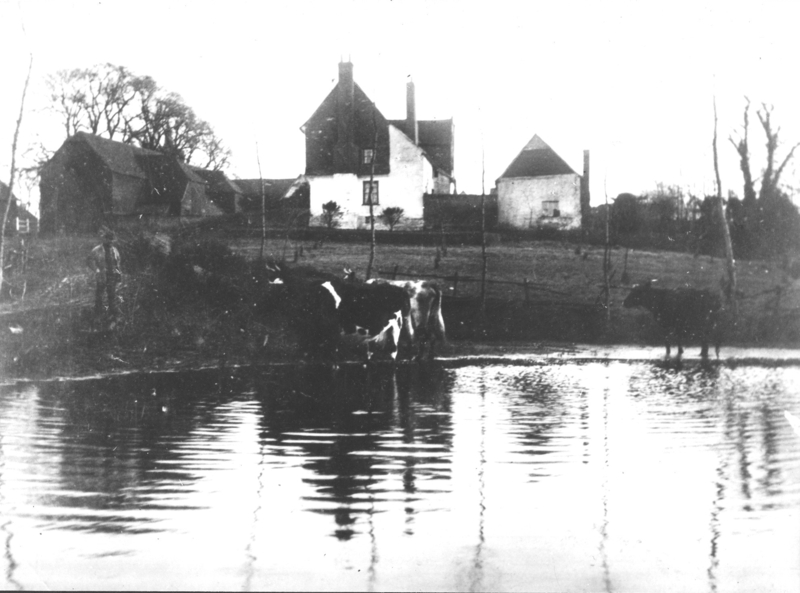 The next meeting of the Stebbing Local History Society is on Monday the 8th April, starting at 8 p.m. As per usual it will be held at the Stebbing Village Hall in Mill Lane. We are delighted to welcome back Peter Layzell (right) as our speaker this month and he will be delivering a talk entitled “Rural Essex in Victorian and Edwardian Times”. This is of course a subject of particular interest to us in Stebbing and it will no doubt throw up some surprises as well as being very interesting! There will, as per usual, be a display of material from our archives. We have a multitude of photographs in the archives dating to the Victorian and Edwardian periods (although never enough) so how about the following as an interesting image to go with the talk. Very usefully it provides us with the exact date of when the photo was taken, the 6th July 1899, which was a Thursday. 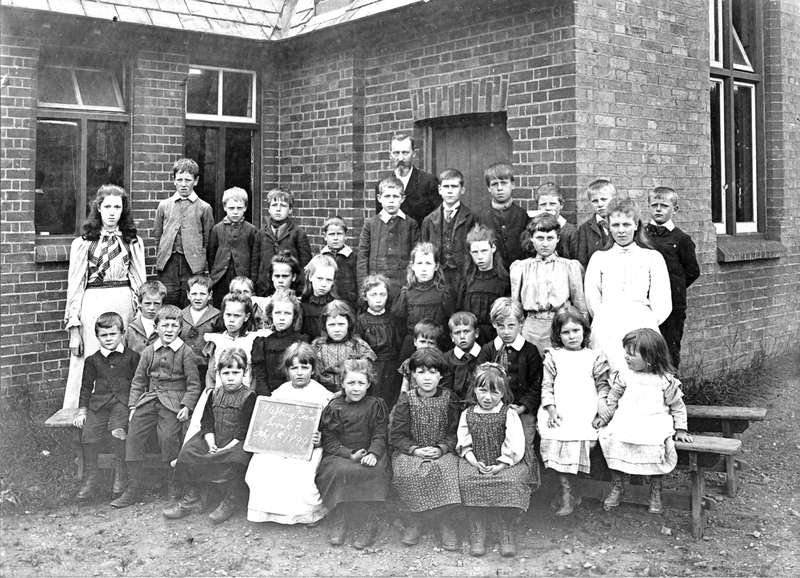 It shows group 3 at the Stebbing Board School, i.e. the current village school. This entry was posted in Uncategorized on April 1, 2019 by stebbinglhs. The next meeting of the Stebbing Local History Society is on Monday the 11th February, starting at 8 p.m. As per usual it will be held at the Stebbing Village Hall in Mill Lane, Stebbing. 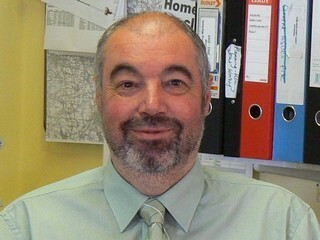 The speaker is our own John Evans and his talk is titled “Agricultural Life in Stebbing 100 years or so ago”. John has done a lot of research into Stebbing agriculture and has uncovered a wealth of information and stories on the subject. Agriculture was central to Stebbing life a hundred years ago and this will prove to be a fascinating talk. It is also the society’s A.G.M. although as per usual we expect that this part of the evening won’t take long. It is also time to pay the 2019 subscriptions, which have once again been held at the very low rates of £5 per individual or £8 per household. This includes free access to all meetings and to our publications. Please pay on the night. If you can’t attend you can pay via your online bank facility if you have one or by cheque. Please be aware that as per last year our GDPR policy allows us to only keep contact details of members. Without access to these details we will not be able to keep in touch so can we ask that subs are paid as soon as possible. Guests are always very welcome for the small fee of £2 per meeting. You will also note that on this website two new tabs have appeared: Images and Publications. These will only be accessible by members and will require a password which will be sent to those that have paid their subscriptions. More information will be provided on this when we are ready to make them available. 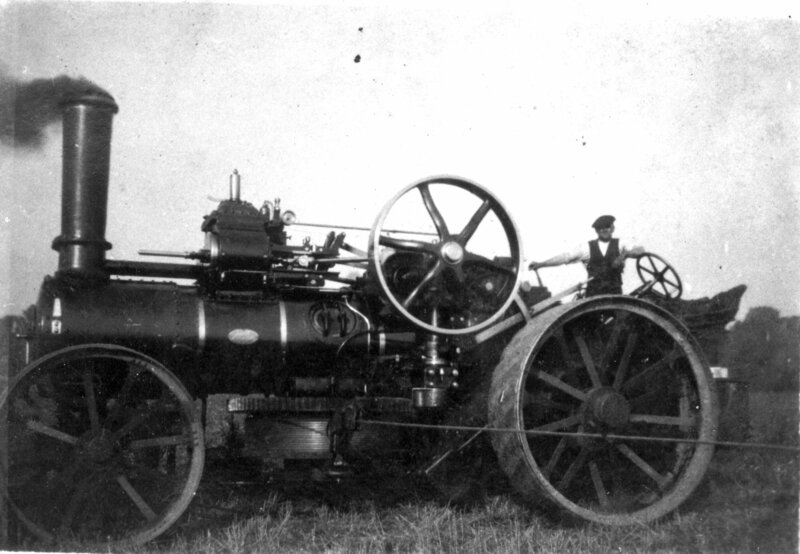 The image below that goes with the talk shows a steam ploughing engine at Stebbing in about 1915. This entry was posted in Uncategorized on February 5, 2019 by stebbinglhs. The Autumn 2018 edition (number 43) of the Journal of the Stebbing Local History Society has been published. If you are a paid-up member of the society and we have your email address it will have been emailed to you. Bent-Marshall (Stebbing) Ltd. Michael Bent-Marshall records the history of the business that had an impact on the live’s of people in Stebbing. A Memoir of Stebbing. Peter Inson reflects on his memories of life in Stebbing in the 1960’s. Horses in WWI. A piece by Derek Towler on the significance of horses in the First World War. The Age of the Bicycle. John Cant gives us his views on the historical significance of bicycles (with some interesting bicycle themed photographs). I am especially grateful to the contributors which extended this time around to five article writers plus a number of people who provided feedback on the previous edition of the Journal. Below is a the photograph that appears on the front page of this edition. 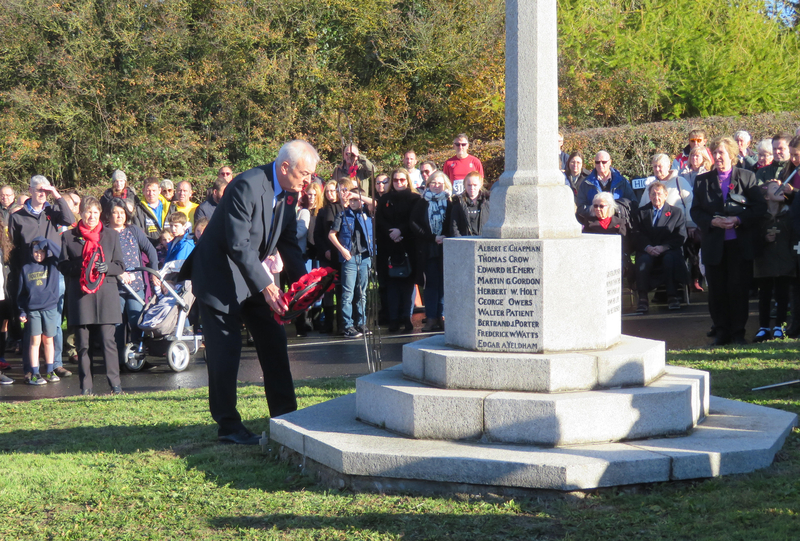 It shows Derek Towler, our Secretary, laying a wreath on behalf of the Society and the village. The Society was honoured to be asked to do it on this very significant anniversary. This entry was posted in Uncategorized on December 4, 2018 by stebbinglhs. The Spring 2018 edition (number 42) of the Journal of the Stebbing Local History Society has just been published. If you are a paid-up member of the society and we have your email address it will have been emailed to you. The new edition comes in at a bumper sixteen pages, and is packed with photos and goodies. Reg Frost Obituary – Reg lived all of his life in Stebbing. The Stebbing Parish Quarterly Paper – extracts taken from 1901 to 1906 – the paper was founded in 1901 by the vicar the Rev. Ernest Clapton. Adolf Heimann – a member of the German Luftwaffe whose plane crashed in Stebbing – he was the only survivor. 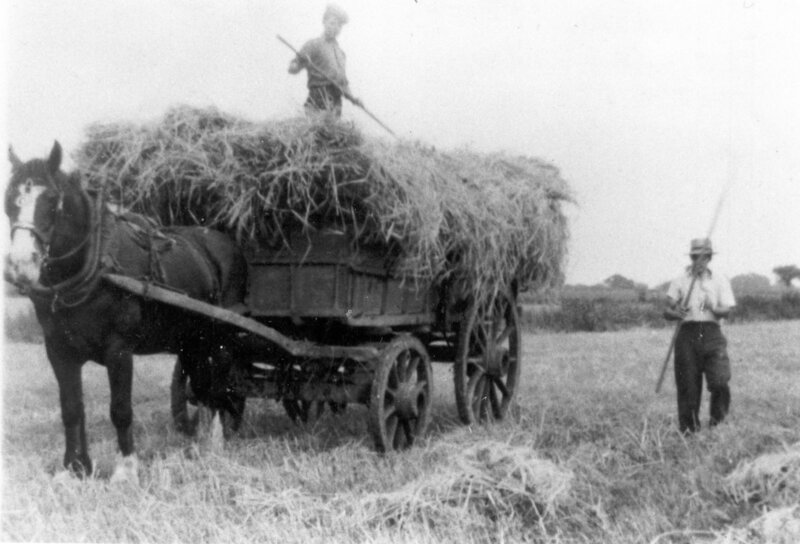 Below is a farming photograph to go with our request for any farming memories, photographs, documents, history etc. We know exactly when this particular photograph was taken – 1948. Despite it being post-war working horses were still in existence in Stebbing at this date. This image was taken on Burnt House Farm on Stebbing Green. This entry was posted in Uncategorized on April 15, 2018 by stebbinglhs. First of all the committee of the Stebbing Local History Society would like to wish all of our members a Happy & Healthy New Year for 2018. The programme of 2018 meetings has been updated in the “meetings” tab so that you can see what we have lined up. The Society has published another in the series of Occasional Research Papers entitled “The Stebbing Hearth Tax 1670.” Researched by the Secretary Derek Towler, it is based on the ‘Essex Hearth Tax 1670,’ published by the British Record Society (BRS). In the late 17th century the British Government was short of money (sound familiar?) and looking for a new and profitable tax that could not be easily escaped it hit upon the idea of taxing the number of hearths in the home. It was a progressive tax i.e. it assumed the rich would have many hearths and therefore pay more than the poor. Unfortunately it proved to be very unpopular not least because the tax collectors had to enter homes to verify the number of hearths. But because it recorded all the names of those who paid and many of those exempted (but not all) for the historian it is a very informative source. It provides clues to the population, wealth or poverty of the parish and in some cases indicates where certain people may have lived and their occupation. The picture below, probably taken in the first quarter of the 20th century, shows Priors Hall revealed in the Hearth Tax documents to be the home in 1670 of a John Sorrell, Gentleman. This entry was posted in Uncategorized on January 8, 2018 by stebbinglhs. The Autumn 2017 edition (number 41) of the Journal of the Stebbing Local History Society has just been published. If you are a member of the society and we have your email address it will have been emailed to you. The Editor for over 21 years, Derek Towler, has handed over the reins to myself, Graham Jolliffe from this number onwards. Over the 21 years in Derek’s capable hands we are sure that you will agree with me that the Journal has gone from strength to strength and has produced a body of work that the Society, all contributors and Derek himself can be rightly proud of. Derek will still remain as the SLHS Secretary and expects to be able to perform more original research as a result of vacating this position. Then and Now: Technology and Change (about the changes over the last 100 years at Stebbing Ford). The Society News section includes an appeal for more “modern history”. This request was sparked by coming across some classic 1970’s features on an estate of that period in the village, something that we expect to publish in the next edition of the Journal. It is too easy to think of history as something that happened a long time ago, however, we would love to add to our knowledge of life in Stebbing in the last 60 years. If you have any recollections or photographs of anything relating to Stebbing on any subject over any period up to the present day then please do get in touch. 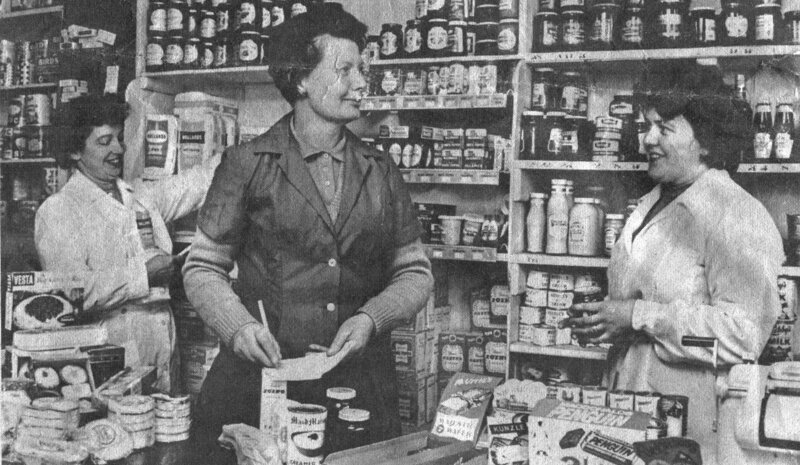 To get those thoughts going the image below is of the inside of the current village shop in 1965. Many of the brands are still in existence today even if the packaging has become more plasticy! There are one or two names that have disappeared though or been re-branded. I still call Snickers Marathon’s – I must be showing my age. This entry was posted in Uncategorized on November 21, 2017 by stebbinglhs. The Spring 2017 edition (number 40) of the Journal of the Stebbing Local History Society has just been published. If you are a member of the society and we have your email address it will have been emailed to you. It was particularly pleasing that following the publication of the bitter-sweet story of the life of the important Stebbing gardener Frederick Harvey both in summary on this blog and in full in the last Journal that Frederick’s grand-daughter got in touch and supplied us with additional information. The story of Stebbing as a surname is told and since the publication we have been told of a 14th century priest in Essex with that name so there will no doubt be a follow-up piece in the next Journal. Ther is also the first part of a piece on the history of the Chapman family in Stebbing which is particularly interesting due to their early connection with the Quakers and the troubles they had as a result. The article on the jetton is an interesting piece of social history as it concerns the finding of a late 15th / early 16th century counting piece that at first inspection looks like a coin. Surprisingly it was recently picked up by an eagle-eyed lad in a field near the centre of Stebbing. Finally, the item on new images for the archive reflects the finding of a significant batch of very interesting photographs and watercolour paintings of Stebbing at the Essex Record Office. The watercolours (17 of them) were painted between 1945 and 1947 by J.W. Little. Unfortunately, we know very little about him other than he lived at Appledore in Bran End. If you know anything about him we would love to hear from you. 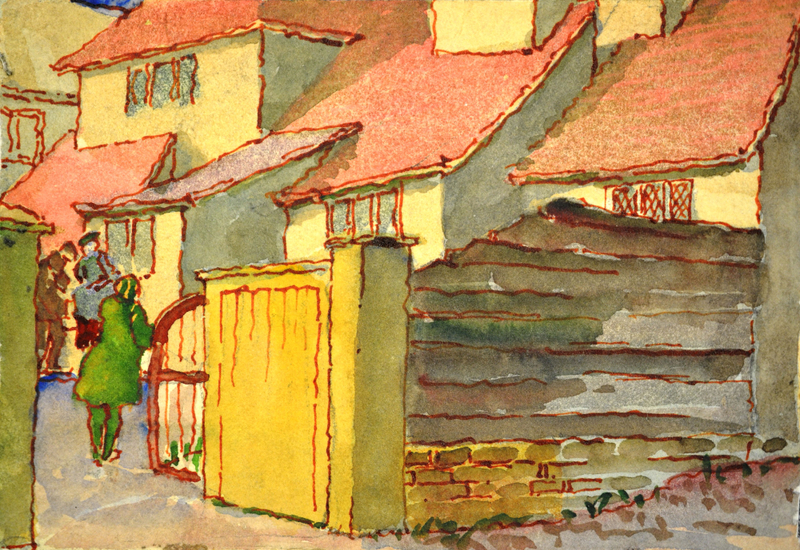 Below is an image of the rear of the White Hart as painted by J.W. Little (by courtesy of the Essex Record Office). This entry was posted in Uncategorized on April 12, 2017 by stebbinglhs.